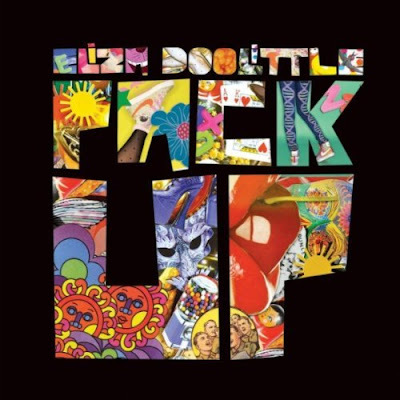 So I got my copy of the Eliza Doolittle remix promo for her second UK single, "Pack Up" and I have to admit, I'm a bit underwhelmed. Honestly, I don't really know what I was expecting. The song was written by Doolittle and samples the 1915 song "Pack Up Your Troubles in Your Old Kit-Bag". I think it's the sample that really creates the problem for the remixers here. The 5-track Polydor promo features remixes from Riva Starr, The Royal Palms and Analog People In A Digital World. The Riva Starr remixes REALLY had my salivating and honestly, I'm most disappointed by these. The mixes are completely centered on the sample used in the chorus, with very little (if any) of Doolittle's verses. While The Royal Palms Remix starts out with the sample, there's a good amount of Eliza in the mix which I really like. The single, out now in the UK, currently sits at #12 and is expected to move into the Top 10. Not bad, considering her debut single "Skinny Genes" peaked at #22. Her self-titled album was released on July 12th and according to Eliza in a TWEET to me, she's hoping to bring her album stateside sometime later this year. Check out the video below. Making her American Television debut, Marina & The Diamonds performed "I Am Not A Robot" on Thursday's Late Late Show with Craig Ferguson. I'm going to go ahead and agree with The Prophet, in that it's DEFINITELY one of her best vocals to date. The Welsh singer/songwriter seems like she's doing EVERYTHING she can to pull off the PERFECT performance for her U.S. debut, clutching the mic closely and anunciating every lyric. I think she pulls it off, sounding and looking AMAZING. God, I LOVE her voice! I hope she takes off here. Her debut album, The Family Jewels peaked on the Billboard 200 at #138, on the Rock Albums chart at #49, #22 on the Digital Albums chart and #2 on the Heatseekers Albums chart. Over in the UK, Marina & The Diamonds is getting ready to release 4th single "Oh No" on August 2nd, and 5th single "Shampain" (YES! One of my favorites on the album!) on September 27th. Check out the Late Late Show performance below. Well, Amy Winehouse has confirmed what the Mirror reported yesterday, that a new album WILL in fact be coming out in the new year. Hallelujah! Winehouse told reporters the news outside the London premiere of Psychosis, a film written and directed by her boyfriend Reg Traviss. "It's going to be very much the same as my second album, where there's a lot of jukebox stuff." The singer went on to talk about her live show, which in recent years has been less than stellar. "I tend to write everything first. The live show is pretty much whatever it is for me." It seems clear that Amy Winehouse is ready to move onward and upward. She's looking forward to building back up her image, something that took quite a beating with all the bad press these past four years. "I just can't wait to have some new songs on stage, really." And we can't wait to hear them Amy! Just please get your U.S. Visa issues all sorted so you can come back across the pond, yeah? As of right now, we know that Winehouse's new album will feature production by Mark Ronson and Salaam Remi, both of whom Winehouse has worked with before. Looking forward to hearing more about the new album in the coming months. I'm BEYOND elated that Amy Winehouse is back. LOVING this! Leave it to apparel-maker Converse to bring together an unlikely group of artists, lay down a track and make it work. Kid Cudi, Vampire Weekend vocalist/instrumentalist Rostam Batmanglij and Best Coast's own Bethany Cosentino make beautiful music together in the recently released song "All Summer," available as a free download on the Converse website. 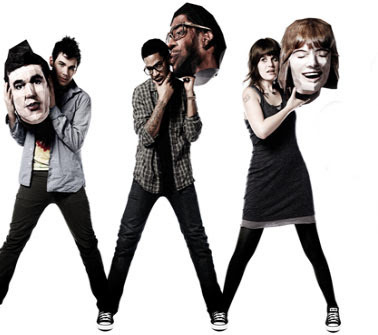 The song is accompanied by a cool video, featuring the trio, each with an over-sized mask made into his or her own likeness. The three appear to be roommates in the video, sharing a cramped 3 Bedroom/1 Bathroom city apartment. The song features Cudi rapping throughout while Cosentino delivers the song's titular chorus. Fun and summery I dig it. Well played Converse. Well played. Download "All Summer" for free HERE. Check out Converse on the web HERE. Just saw a TWEET about this today and am kinda feelin' it. Check out this new track by Jesse McCartney called "Up." It's featured on the upcoming soundtrack for Step Up 3D (due out July 27th) and was produced by Dapo Torimiro. The sexually-charged, AutoTune-heavy track features McCartney really flexing his R&B muscle, giving us a taste of what his new album is likely going to sound like. Singer/Songwriter/Actor McCartney has come a long way since "Beautiful Soul." His second album, 2008's Departure was exactly that...a departure from his teeny-bopper pop roots, opting instead for a more mature-sounding pop music. Looks like the "departure" paid off in the end. Lead single "Leavin'" hit #10 on Billboard's Hot 100...that's 6 spots higher than "Beautiful Soul's #16 chart peak. 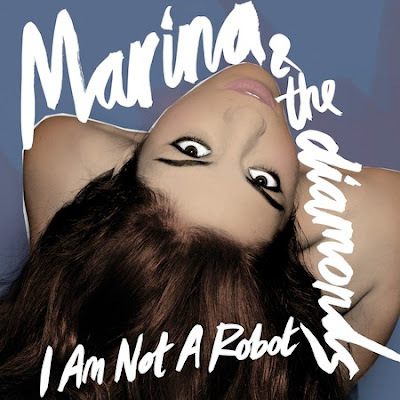 While follow up singles, "It's Over," "How Do You Sleep?" and "Body Language" failed to do the same kind of chart damage as "Leavin'," the latter two seem to have shaped a NEW direction for McCartney - R&B/Pop. McCartney experimented with the sound on his singles "How Do You Sleep" (featuring Ludacris) and "Body Language" (featuring T-Pain) and although the singles only managed to peak at #26 and #35 respectively, it was enough for McCartney to shift gears for his upcoming fourth album. Not sure if this move really makes a lot of sense, considering how the more POP-leaning "Leavin'" charted vs. where the two urban-influenced singles ended up but who knows. Listen to "Up" below and tell me what you think! 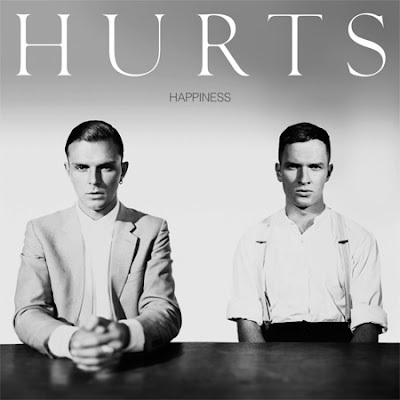 The electronica duo from Manchester, Hurts have announced the tracklisting and cover art for their debut album, Happiness, due out in the UK September 6th on RCA Records. The duo's debut single "Better Than Love" came out at the end of May and was written by Hurts (Theo Hutchcraft, Adam Anderson) and Joseph Cross. While the single, which featured remixes from Tiefschwarz and Jamaica, only peaked at #50 on the UK Singles Chart, it made it to #6 on the Dance Chart. On August 23rd, before the album's fall release the boys are re-releasing "Wonderful Life" as their second UK single. I say "re-release" because the song was released in Denmark as a digital single where it turned into a Top Ten hit. I quite enjoy these guys. Their sound is Very CHILL electronica, and while I typically go for the more hard-hitting HOUSE tracks and remixes, the Hurts' brand of electronica is quite refreshing. "Wonderful Life" actually quite reminds me of what New Radicals could have been had they stuck together as a band. Kind of an ELECTRO-fied New Radicals. I happen to think that's a compliment. Check out this cool video clip about the making of their next video, likely a new video for "Wonderful Life." Singer/songwriter Ne-Yo is BACK with a song that sounds...well...like all of his other songs. "Beautiful Monster" is a nice little R&B-dance-pop concoction that works in the same way previous efforts like "Closer" and "Because of You" worked. All of the above are up-tempo, club-friendly Top 40 tracks with the same general vibe. Ne-Yo knows what works, and seeing how busy he's been lately as a songwriter, it's evident that other industry contemporaries recognize his talent. So far the Stargate-produced number is sitting at #56 on the Billboard Hot 100, #28 on the Mainstream Top 40 Chart and #88 on the Hot R&B/Hip-Hop Songs Chart. It seems doing be doing very well in Korea, where it's #3 on the International Singles Chart there. "Beautiful Monster" impacted both mainstream and rhtymic airplay on June 8th, the same day it was digitally released. 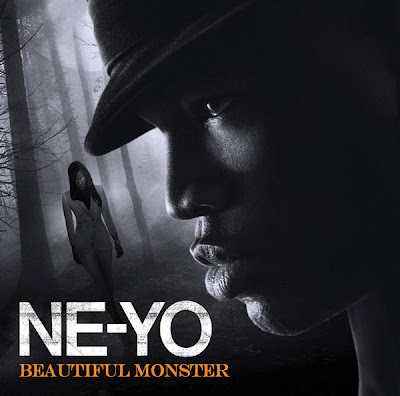 The video for "Beautiful Monster" has a sort of a Michael Jackson/"Thriller" vibe going on with Ne-Yo taking on the role of Jackson's character. It's an epic battle of good vs. evil...on the dancefloor, with Ne-Yo being the good and the dancers being the evil, complete with little glowing, pupil-less eye balls. Very eerie...much like the cover art. The song is slick, much like Ne-Yo himself. I can dig it. "Closer" and "Because Of You" delivered a pretty SICK remix package so here's hoping "Beautiful Monster" receives the same club love. The song is the first single off of Ne-Yo's upcoming fourth studio album, Libra Scale, due in September.